If you’ve been binging Wild Wild Country on Netflix, then you may have felt the familiar tug of simultaneous awe and fear as a natural-born crime queen came into her own on this week’s Good Girls. This series is at its best when it focuses on the catalyst for Ruby, Beth, and Annie’s foray into a life of crime: They didn’t stumble upon a gang leader who took advantage of their good-girl-naïveté, as Beth insinuates to her husband in “A View From the Top.” There were so beaten down by their own circumstances, so unable to bear every burden placed upon them, so desperately in need of a fix for the lives they had so little control over that they decided to rob a grocery store. When firing on all cylinders, Good Girls is about the powerless feeling of being expected to stay inside the lines that society has long drawn for women, while also bearing the burden of problems that extend far beyond those roles. Robbing a grocery store is an extreme reaction to this pressure, but needing a quick and convenient fix just to keep the wheels from falling off is not. 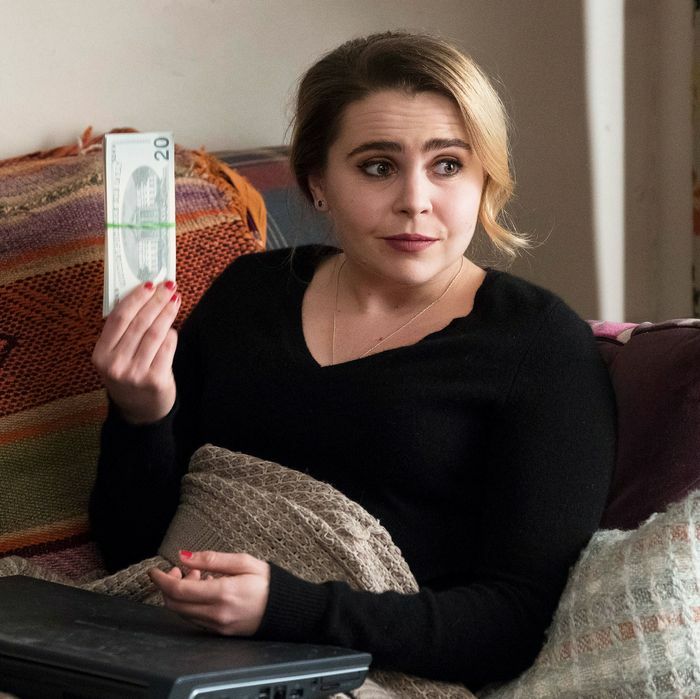 In “A View From the Top,” Good Girls makes its cleverest parallel by mirroring the rise of Ruby, Beth, and Annie’s criminal activity with something that looks and acts quite a bit like a pyramid scheme. There’s a reason that the multilevel marketing companies of yore often target women, and especially stay-at-home mothers. Selling makeup or face creams or essential oils from one’s home exists at the idealistic intersection of having it all: If you just work hard enough, the pitch goes, you can be a full-time mother and a full-time businesswoman who finds creative fulfillment by being her own boss. I would not be surprised if the entire premise of Good Girls was first conceived as an exaggerated satire of women in the insidious world of direct sales. Beth, Annie, and Ruby saw the promise of quick cash when they came up with the idea to rob a grocery store. Now, suddenly, they’re pitching a dangerous lie to a bunch of moms in their living room, just to keep their own lies from blowing up. Beth tells the women she’s gathered to blindly do her dirty work in return for a small sliver of the profits, “We are giving you an opportunity to make your own money, to do something for yourself — this is about being, a strong independent woman!” She is both lying through her teeth for her own benefit, while also believing in what she’s saying enough to make them believe it too. Beth comes up with a plan to trick other women into doing their big-box store hauls for them by telling them it’s for a company called “Secret Shoppers” that stores hire to buy and return products, and evaluate the customer service they receive. This is … incredibly dangerous. For absolutely no other reason than to invent a problem down the road, Tyler, the man-child security guard from Annie’s grocery store, is also invited to the all-female recruiting session. At first, the plan goes off swimmingly, with all of Beth’s new mini-mes easily completing their tasks … until Tyler tells Annie that some of his items were stolen out of his car before he could return them. $20,000 worth of items, to be exact. That money still has to make its way back to Rio, so Annie pulls out their trusty ski masks, saying there’s no other option but to pull one of their classic robberies. But Beth realizes, “We don’t need the money, we just need the merchandise.” The women put themselves in some wigs, then head to Cloud9 to do some old-fashioned shoplifting. Beth sets off the alarm on purpose, distracting the buggy attendant while Annie scoots out with $20,000 worth of stolen goods. But when Beth gets home, she finds Dean waiting on her — and he recently had a visit from Agent Turner with some new information. “Maybe you can tell me why you stole a car and ditched in it a lake,” Dean asks her, with a tone that’s pretty rich coming from a man currently faking prostate cancer. Dean told Agent Turner that after Beth found out he was cheating on her, she stole the car, trashed it, and went on a Canadian spending spree, but now he’s demanding the truth from her. Beth tells him that they needed money fast. “Maybe you could get a job!” Dean — the man who spent all their money on tacky thongs for his mistress — yells back at her, nearly causing me to tackle my television. Dean yells at Beth to sit down and tell him the truth, and 100 different emotions play over Christina Hendricks’s face. It’s unclear just which one she’s settled on until Beth starts demurely agreeing with everything Dean says: that the “bounce house guy” roped her into this; that these gangs prey on “good, innocent people; that he’s going to take care of this (ha! ha! HA! ); that she’ll stay away from that guy for good. Ruby’s lies are catching up with her at home too, but the problem is different: She actually cares about lying to her husband. So when her former boss from the diner hears that Sara is sick and shows up with food, both Stan and Ruby look heartbroken at the realization that Ruby has been lying about going to work. She tells Stan that she was too embarrassed to tell her she was fired, and all this time, she’s actually been out looking for work. Stan lets her go on and on until he finally has to say what they’re both dreading: He doesn’t believe a single word coming out of her mouth. As for Ruby, Beth, and Annie, their successful return of $500,000 real U.S. dollars seems to have unexpectedly flipped their own game because now Rio is handing over $750,000. “Because you delivered,” he explains. With some words of affirmation from the workplace, Beth and Ruby return home with a little more confidence. Ruby tells Stan that she was lying to him — she started a business, Secret Shoppers, and she didn’t tell him because it was risky. But now, Ruby pulls out stack after stack of cash to show Stan how well she’s done, and he’s so proud of her. They’re celebrating, and they’re so happy, and I love these two so much, and I live every Monday night in fear of what’s to come for them. Then she dumps a couple hundred thousand dollars of counterfeit bills in his lap and tells him he doesn’t need to worry about her. She’s not afraid of the dark. • The coordinated dance/rap that Stan, Beth, and their li’l son do for Sara to “Lodi Dodi” is, per usual, the cutest. • I’m not sure what’s to come of Annie coming clean with Marion (June Squibb! Still crazy that she’s here!) and becoming adorable best friends, but it annoys Boomer enough to make him plant drugs in Annie’s work locker. Ugh. • I loved the general structuring and story of this episode, but there are still some major logistical flaws. Like, why wouldn’t Stan question that all of Ruby’s new business earnings are in cash? 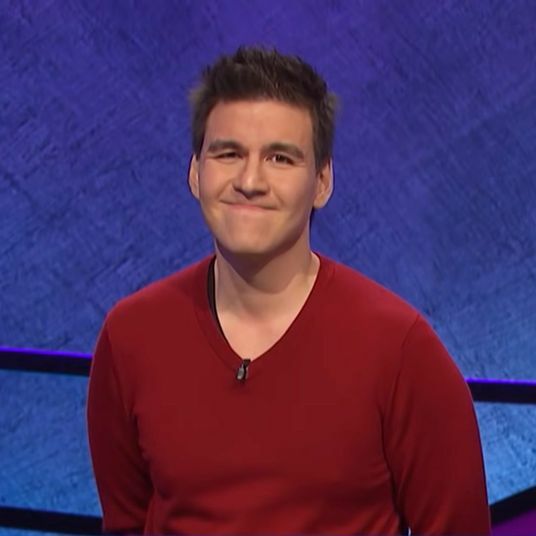 • Speaking of: The ladies made $20,000 each this week, they stand to make $30,000 next week, which combined is, uh, probably more than Ruby or Annie’s annual income … in cash. Beth’s six-month plan is cute with its “honeypot” and “legitimate investments,” but they might have to add “laundering” and “offshore accounts” to that the itemized agenda.